Students across Kean University's campus celebrated World Kindness Day. 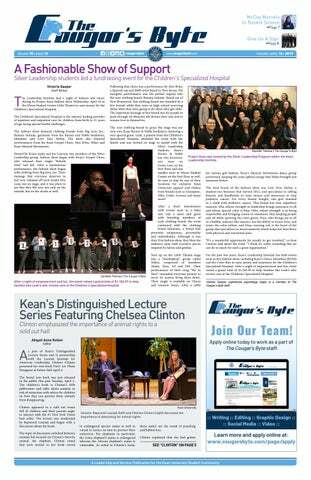 On Nov. 13, students across Kean University's campus celebrated World Kindness Day and Community Values Day. This allowed students to appreciate all acts of kindness, no matter how big or small. Students were also able to become educated about the resources on campus that they can utilize to their advantage. Organizations such as the Alcohol, Tobacco and Other Drugs Task Force (AToD) and the Commuter Resource Center (CRC) held events to help students celebrate this joyous day. Students wrote cards for children with terminal illnesses and veterans for World Kindness Day. Starting at 1 p.m., the CRC had a tabling event where participants were able to make cards for children suffering from terminal illnesses. These cards were sent to the Children's Specialized Hospital, the same hospital that the Kean Dance Marathon support. Additionally, participants were able to write cards for veterans to thank them for their dedication and service. After completing the card writing, participants were given a carnation that they could give to another student to help spread kindness all throughout campus. This was an effective was of spreading positive energy for World Kindness Day. Jaree Cox, worker for Student Government and also a student aid said, "The importance of world kindness, I think, is just understanding that all of us are one. We're all one race, we're all one source of energy and in order to make sure that we live in a productive and happy world, we should all be kind." Beginning at 1 p.m. was Community Values Day, which was located in the Miron Student Center Atrium and was hosted by AToD. The purpose of this event was to educate students on resources that are available to them on campus. To do this, AToD had a game of Jeopardy set up for students to participate in, which included questions from categories such as campus resources, bystander effect and community values. John Shantz, worker for Community Standards and Student Conduct and a certified peer educator says, "I think it's important for the students at Kean to know what their resources are available to them on campus, such as the wellness center, the phone number for Health Services, Counseling Center, University Police and things like that." He continued, "I believe that [students] should be aware of the bystander effect and medical amnesty. For example, if people are drinking and somebody drank too much they can call [the police] and not get in trouble. I think that a lot of students don't know about that." 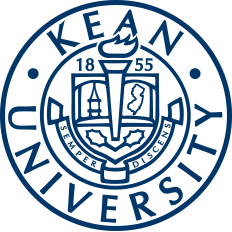 Both of these events were successful in promoting a sense of community on Kean's campus. Through the efforts of the CRC and AToD, students were able to spread happiness and become educated on prevalent issues on campus.